Woolton Hill Junior School has unveiled its new sports kit for the forthcoming school year, provided courtesy of West Berkshire Mencap. 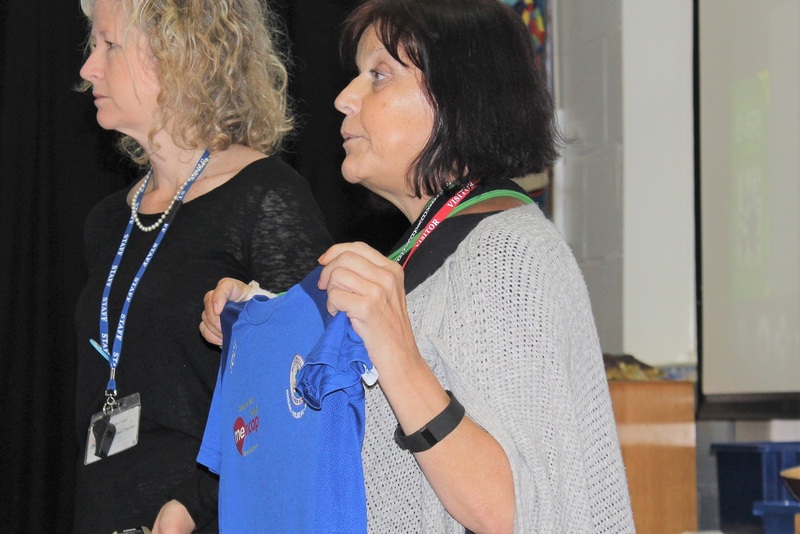 The new kit was presented to the school by the charity’s representative Phil King at the last celebration assembly of the academic year. It will be worn for sports ranging from football, rugby, athletics and netball and parts of the kit will even form the uniform for dodgeball, golf and archery or any sporting event where children will be representing the school.